All things internet-related seem to be growing and changing at a mind-blowingly exponential rate. And digital marketing is no exception. The strategies that worked wonders for you last year, may yield no results for you in 2019. Every single year there is more online content, which means more competition. And Google needs to adapt to find new ways to reward the worthy sites over the sub-par ones. The only way to stay ahead of the curve is to continually inform yourself with the changes and updates that digital marketing is going through, and adapt accordingly. So, here you have it….a few of the biggest changes we can expect in digital marketing in 2019. 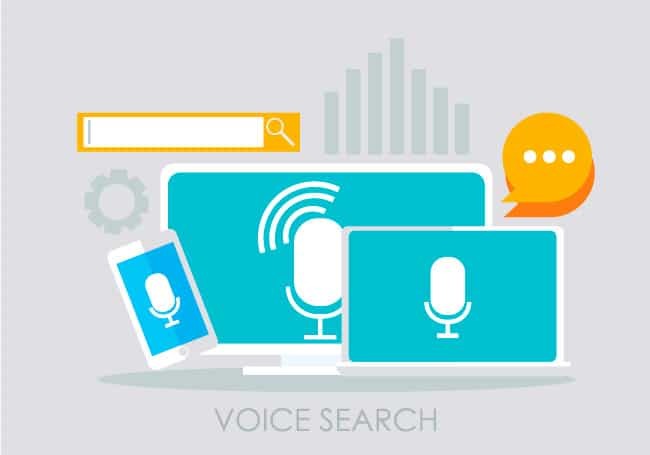 One of the biggest changes we’ll see in digital marketing in 2019, is the major modification in SEO, which will move its rankings to depend more towards voice search results! Voice searches may seem absolutely banal to you, and many other people, but a surprising amount of adults use this feature every day. And the popularity of voice searches is only set to increase, with the rise of devices such as Alexa, Siri and Google Home, where everything is voice automated. This change is definitely going to throw a lot of people off as voice search optimisation has never really been worth paying attention to… until now. Every year Google makes multiple updates and changes to the algorithms used which establish Google rankings. These updates cause digital marketers to fly into a mad scramble, trying to find ways to beat the algorithm. Last year, we experienced around one update every month. And the years before that were fairly similar. In 2019, the problem is not that we are going to face more updates, but more complicated updates. This is because of the expansion of technology and Google wanting to keep spammy sites out of the top-ranked positions. Because of the fact that any bot can now create natural looking content with relevant keywords and backlinks, Google needs to look deeper. Google will now definitely be looking at how long viewers spend on your site, and whether or not they go straight back to the Google search results page in search of something better. Google will also keep an eye on click-through-rates and your brand name searches. To keep up to date with these algorithms and to stay on top of your ranking game, you’ll need to have the right SEO mindset, which you can read more about in our blog, here- Having the Right SEO Mindset. Another thing you’ll need to do is continue to put yourself in the viewer’s position. When people type in certain keywords, they are not just looking for search results, they are looking for solutions to real-life problems. So the more human and relatable you can be in providing solutions, the better it will be for everyone. Google will always love original, natural and relatable content. There are many success stories in which companies made use of growth hacking to achieve the fame and fortune they enjoy today. Growth hacking is when a company pours a lot of energy and financial backing into a single marketing channel. And this method can be attributed for the success of both Dropbox and Facebook. But in 2019, the world just doesn’t work that way anymore and there aren’t any more single-pathed tracks to success. Online marketing is a bit of a double-edged sword. On the one end, we have popular channels with many potential customers but the channels are flooded with bigger competitors ready to drown out your tiny voice. On the other, we have smaller channels with less competition, but with also fewer potential leads. So the best thing you can do is spread your message across all channels, or as many channels as possible. There really are a crazy amount of blogs out there. Approximately around a billion blog sites as a matter of fact. No don’t get us wrong, we love blogging and spreading knowledge, but from an SEO and Google ranking standpoint, blogging just isn’t going to cut it anymore. The reason why Google used to rate high-quality content so highly, is that Google used to lack content about certain topics. But these days, I think it would be hard to find a subject that hasn’t already been extensively talked about online. So now Google can be very picky about which content they rank highly. It’s not just about good quality anymore, it’s about exceptional quality. The best thing you can do is to make sure that your content is as original as possible. Instead of quantity, focus on quality. Based on what’s been discussed above, it truly does feel as if blogs and other text-based content have been totally overdone and that it is virtually impossible to rank well by focusing on text-based content alone. So it is time to think outside the box. In 2019 if you want to stand out, you’re going to need to employ the help of other search engines and other types of content. No matter what type of business you run, there is an opportunity for you to rank at the top of Youtube searches. How do we know this? Because people are still becoming Youtube sensations overnight. Start taking advantage of this opportunity before Youtube becomes as saturated as Google. Another worthwhile type of content to pour your efforts and marketing budgets into is podcasts. Podcasts are becoming more and more popular, but there are still many gaps in audio content that are yet to be filled. So fill them! Google’s yearly revenue has continued to increase significantly every year. It doubled from 2013 to 2017. Let that sink in. Now while this success can be attributed to the fact that the internet is becoming an increasingly popular place, it is also because Google is increasing the price per click. Some more bad news for you, Facebook ads are also increasing in price. 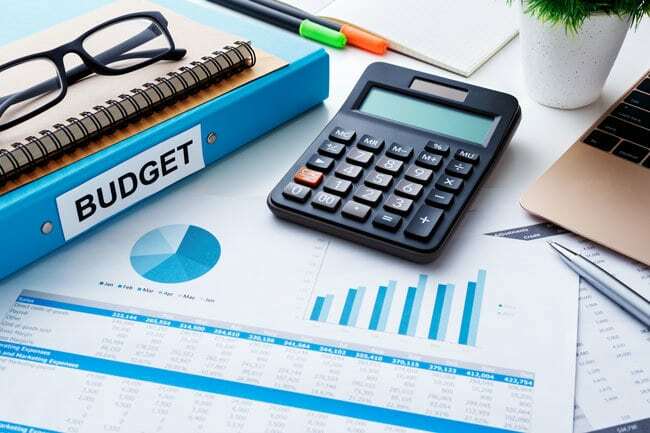 In 2019, one of the biggest changes digital marketing experts will have to make is shifts in budget. A strategy that worked for you last year, maybe totally unaffordable now. Luckily there are many ways to market yourself online without spending a fortune, you may just have to be a bit more flexible. Sales funnels are good digital marketers best-kept secret…for now anyway. Funnels are more complex than just email sequences. But they are still fairly to understand and it won’t be long until the methods are common knowledge. As ads are going to get more and more expensive, the best thing you can do is make the most of your existing customers, by upselling or down-selling to them. Already have a winter coat in your basket? Add a beanie for half price! Upselling really works, people can’t resist a good deal. If you have no idea how to implement a marketing funnel strategy, we recommend services such as Click Funnels to help you along. Remember that strategies that helped you in 2018, may be useless in 2019. Strike while the iron is hot and take advantage of gaps in the market as quickly as possible. Ensure that you are kept informed about Google’s new updates as they happen so you can continue to adapt. Not a fan of change? Then these drastic updates must seem terrifying! Google’s ranking systems are changing all the time and it can feel impossible to stay ahead of the curve. Why not let The Weblab take care of your digital marketing for you? And you’ll have more time and energy to focus on the things that you’re good at. Feel free to contact us and we can discuss a digital marketing strategy that is just right for your brand.